The land had been farmed from early times and this continued until the 1940’s, when the land was needed for new housing. It was decided in July 1945 to site 66 Temporary Houses on the Lower Bevendean Estate. With a need for new homes in the post-war period, the Bevendean estate was quickly developed in the 1940s/50s. Self Build Houses in Plymouth Avenue and Bungalows in Heath Hill Avenue. When the school opened on 4th September 1950, there were four classes with 167 pupils. In 1976 BeCCa were struggling to operate in the church hall. What happened next? Becca closed in May 2017. In 1950 a plan for seven shops at the junction of Heath Hill Ave. & Leybourne Road with Taunton Road was put forward. In 1951 a plan for 9 factories to relieve the congested central areas of the town was put forward. Originally wells were dug for water, by 1912 water was piped to the farm. A reservoir was built in the 1960's. The first doctors surgery was at No. 1 Leybourne Road. The surgery moved to Heath Hill Avenue in 1959 and closed in September 2016. 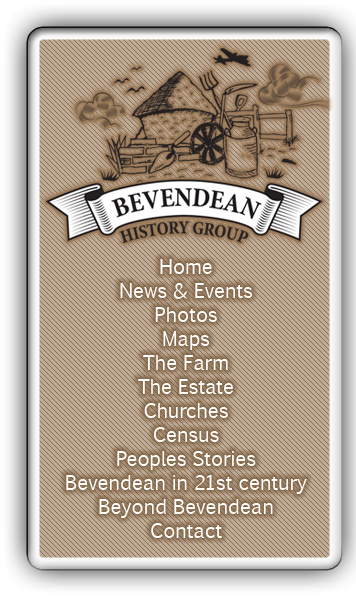 Bevendean Estate stories from residents, both past and present plus newspaper articles.